I had arrived at work a little later than normal this particular morning taking the Red Line in from Silver Springs, Maryland. I had just started my job as the Deputy Chief Clerk for the congressional Government Reform Committee, chaired by Congressman Dan Burton, not even two weeks earlier. This was my first real job after college and it took me away from my home state and comfort zone of Indiana. Little did I know that leaving home to work in Washington, D.C., our nation’s capitol, a place I had wanted to work my entire life, would invite me into a world that changed forever that fateful morning. It was 9:17 by the time I had sat down at my desk in the Rayburn House Office Building. The TV was on, which I found odd. My co-worker and office mate Bob Briggs hadn’t yet arrived so I wondered who had turned it on. I turned to see on the TV a building that had a large black hole in it. The TV was turned to Fox News and it had the letters “WTC” underneath the picture. I know this sounds a little dumb, but never having been to New York and not really giving it much thought I had no clue those letters meant the World Trade Center. 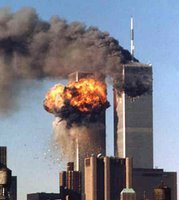 Not really getting what was occurring, I started my computer when I heard the replay of the second plane hitting the second Trade Center tower. I was stunned. The press office was next door to my office and that is when I first heard the accusations that Arab terrorists were behind this. There was mass confusion. People were running outside the hallways saying that we needed to get out, but no one really had any answers as to why. We just needed to leave. But if we weren’t yet convinced we needed to evacuate the building, we were about to be. Just after 9:45, I went out to the front of the office where the TV, set to CNN, had just cut to an image of the Pentagon after it was hit. 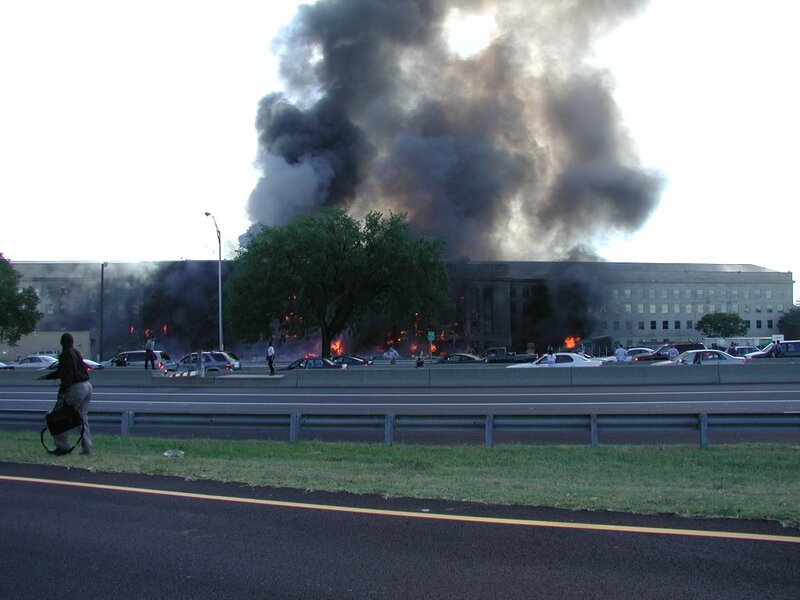 Then reports started coming in that another plane was heading towards the Capitol Building. Mass evacuations all around DC were in full order. I tried to call home from an office phone, but either the lines were jam packed or dead. I hadn’t yet purchased a cell phone so I had no way of contacting my parents to let them know I was okay. Hearing that the Blue Line that ran through Pentagon had shut down, I hoped to make it back to the Red Line before the entire Metro shut down. Still absorbing the shock of it all, I left around 10:00a.m. to head back to Union Station to go home. I felt no compulsion to run so I walked. Instead of cutting across the Capitol Building parking lot like I had just moments before, I was now directed toward the street behind the Capitol Building. There, people were running and screaming. Military personnel with guns were patrolling the roof tops of the Library of Congress and the Supreme Court Building. I even heard a blast that the news originally described as a bomb going off in front of the Justice Department. Turns out it was a fighter jet breaking the sound barrier trying to head off Flight 93 that would eventually crash land in Pennsylvania. It was like something out of a movie, but this was real life. I ran into a random person who also worked on the Hill along the way and we both tried getting on the Metro. It was closed. I had no idea how I was going to get home. The streets were packed with cars going nowhere. I eventually ended up in the most unlikely place to see the rest of the morning play out; Murphy’s Irish Pub with that random guy and some of his co-workers. He offered to buy me a beer (what! It’s an Irish Pub…and the world was going nuts!) and sat down with his friends. We were captivated by the TV and watched President Bush, who you could tell was trying to understand this unfolding situation while at the same time, trying to calm down a nation. The place was packed, the TV was as loud as it could go, which didn’t seem very loud, and then the Taliban leaders got on TV to say they weren’t responsible. Not soon after, the first tower went down. I sat in that pub in stunned silence like so many others. We couldn’t believe our eyes. Moments later, the second tower went down. It was like nothing any of us in that pub had ever seen in our lives. I was suddenly overwhelmed with fear and shock. Someone at the table let me borrow their cell phone and I was finally able to get an outside line to call my parents and let them know I was okay. I sat in that pub till a little after noon. Rumors started circulating that the Red Line Metro was open again. Finally a rumor that was true! I headed home stunned and silent like the rest of the passengers. I arrived home around 1:30 emotionally drained and watched the news the rest of the afternoon. What had just happened?! Here I was, a stranger in a strange city and I knew nobody. I don’t remember much of the rest of week, but I remember September 11th. I remember it like it happened yesterday. It was a day I was scared, worried and fearful. It was a day that drew me to the only place I could find solace, the bible. Reading through some of the Psalms comforted me and reminded me of God’s control over everything. At the same time I knew so much had changed that day. I remember that day. I will always remember September 11th.